Your car audio and home theater experts in Raleigh, NC and Smithfield, NC. From simple CD player and speaker installations to complex sound system integrations, we succeed by making your car customization the best experience possible. Visit our brand new store in Smithfield! We know what you want – the right sound for the right price! Check out the hottest deals in our current specials, available for a limited time only! 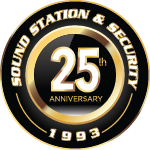 I am overwhelmed by the customer service I received from Sound Station and Security this weekend (7/14/18). I brought to them a harness that I purchased from Crutchfield that was incorrect and the salesperson took the time to find the correct one.and Joel even took the time to rewire it for us for free. About 4 different people from the store came out to help us. They spent about an hour with us just to sell us a $20 harness. This was my first time as a customer but they now have a customer for life. Had a new radio put in my car. I liked that they didn't try to take advantage since I was a woman. But I did my research and knew what I wanted. The staff was informative, friendly. I would shop there again. Josh and the staff are awesome! Had 2 subs put in my Tesla with custom enclosure. Looks and sounds great. I’m very happy and would recommend them for any install and custom work. They are also much quicker than other shops around and competitive on price. Great service, these guys know their stuff. I worked with Tyler to diagnose an issue with my BMW and he was professional, affordable and an expert when it comes to audio. They try to find the best solution for your repair issue or your new audio needs and do so in an ethical and professional fashion. They don't try to "sell" you stuff you don't need. Outstanding Par Excellence!!! Had a big issue that came up in our upfitted Sprinter....called yesterday and got it taken cared off today. Josh..super nice guy and professional. Joel..the technician was also super nice, and knowledgeable. Josh took us back to the work area and Joel took the time to explain and show my wife and I what was wrong which re assured us. We are now back home with our fully working Sprinter Van entertainment systems. So happy I came here. Much relieved and with much gratitude to Josh, Joel and Sound Station & Security.!! !